Truth: Fair is an illusion and life is weird. 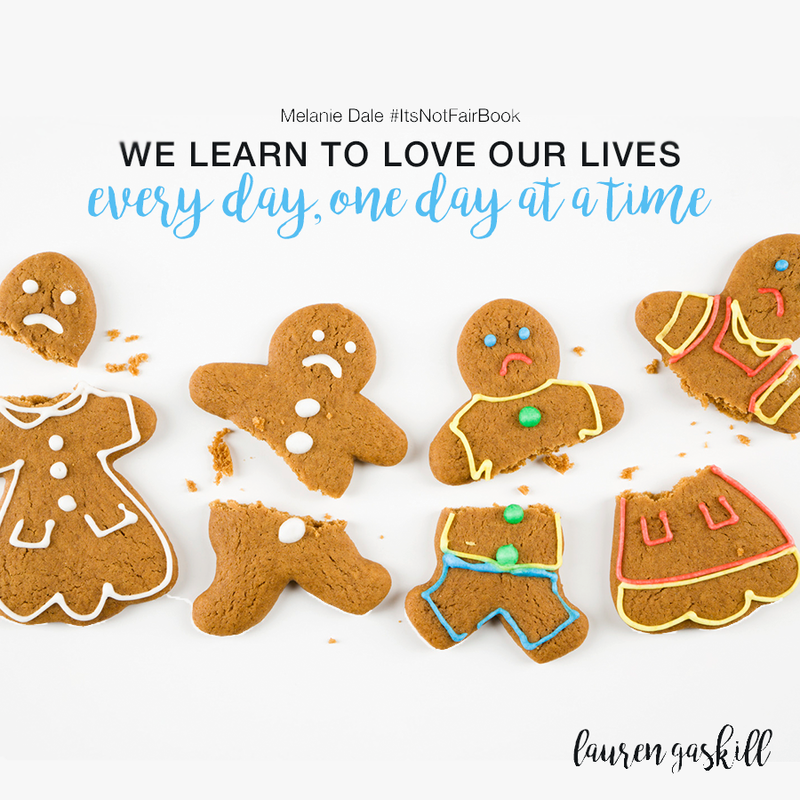 I wish I could take credit for coming up with that eloquent and clever sentence, but the credit goes to my friend, Melanie Dale, who is one day away from releasing her second book It’s Not Fair: Learning to Love the Life You Didn’t Choose. If you tune in to the Finding Joy podcast you may have already heard about the book from my episode with Melanie. If not, that’s OK! 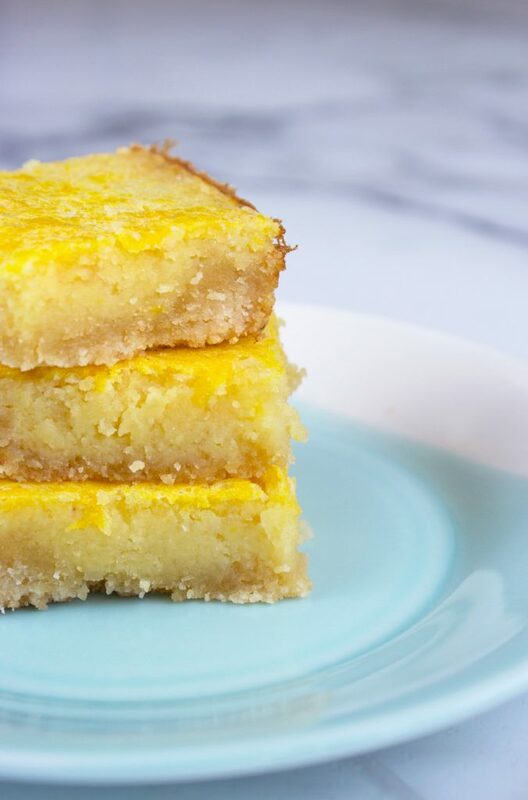 Because today we’re going to talk all about it (and paleo lemon bars, of course). Melanie’s book couldn’t have arrived at a better point in my life. We all have moments where we feel like life’s not fair, and two weeks after the book launch package arrived at my front door, I entered my own it’s-not-fair season (INFS). This is not the first INFS I’ve ever had — just the most recent. But the fact that I’ve gone through several messy life experiences doesn’t make this one any easier. Calling all chocolate lovers! These Chunky Peanut Butter Chocolate Pudding Brownie Bites come together in less than 10 minutes — so what are you waiting for? Treat yo self. Aloha from the crystal blue waters of Exuma, Bahamas! Mr. Making Life Sweet and I are currently on a week-long vacation with his mom, brother, sister and gramma, so if you notice I’m not as active on social media or other blogs this week, that’s why. With this being our first vacation in a year-and-a-half, it’s definitely time for this lady to take a break, dig her toes in the sand and float in the ocean while sipping a piña colada. There’s a part of me that longs to just pack my bags and move to tropical waters. I have and always will be a water and a beach girl. Where there is water and sand, I thrive. I think that’s one of the reasons why I loved our first home in Minnesota so much, because there is water everywhere in that state. You can’t go for a drive without running into a creek, stream, river, waterfall, pond or lake. Mr. Making Life Sweet and I joke about moving to an island all the time. “I could write for the tourism magazines and open up a bakery and you could sell boat rentals,” I say to him. Though he agrees this plan is not a half-bad idea, I don’t think that will be happening for a long time — if we’re lucky, maybe when we are old and grey. 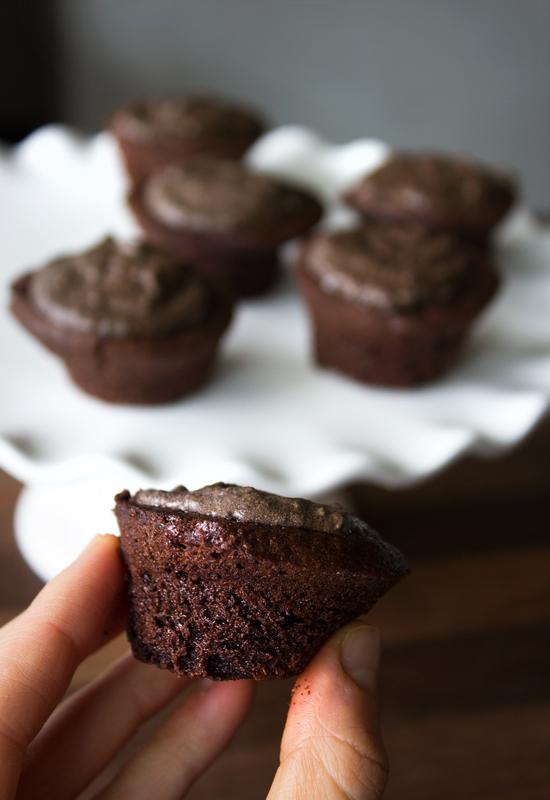 Before hopping on a plane to get to the Caribbean I was testing out recipes for these pudding brownie bites that are here on the blog today. You might think putting pudding (see what I did there? 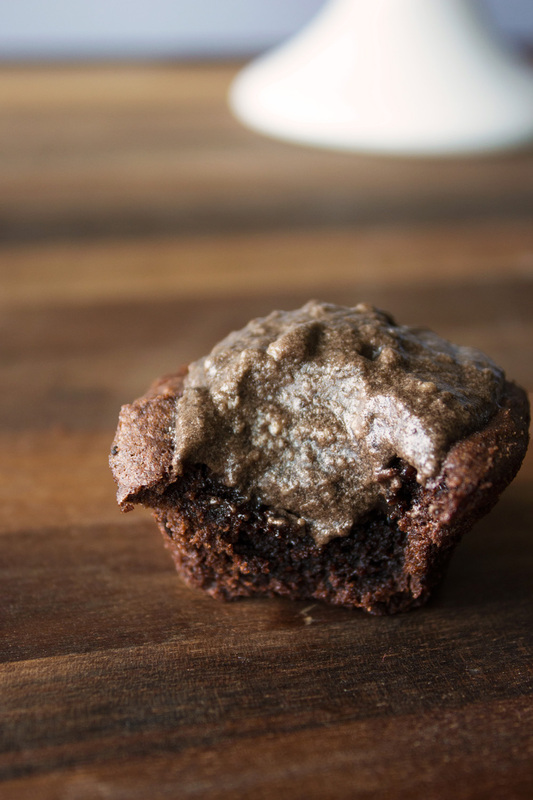 :P) on top of a brownie might be weird, but think again — it’s actually quite delicious and even more decadent than frosting in my opinion! I was inspired to mix pudding with brownie bites after stumbling across this Chocolate Avocado Peanut Butter Pudding recipe from the Realistic Nutritionist. In her recipe for the pudding, she crumbles brownie on top, and it got me thinking: What if it were the other way around? 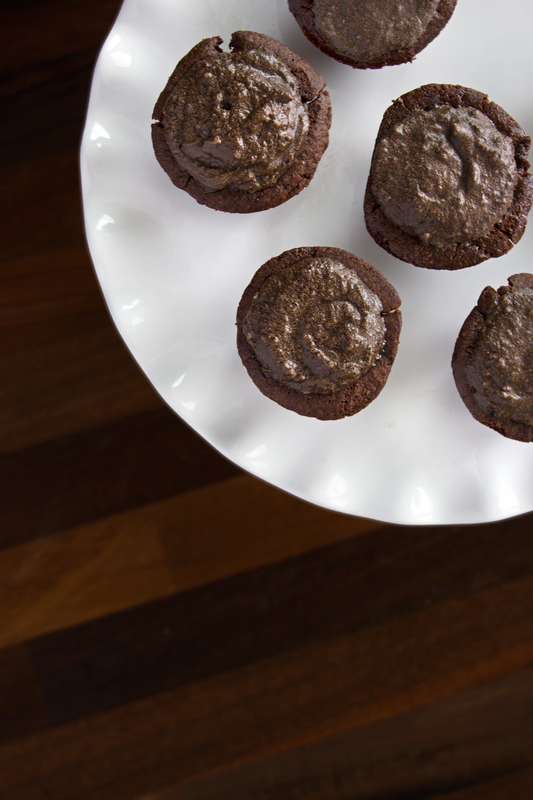 What if you wrapped chocolatey brownie goodness around pudding? I was hesitant to share this recipe with all of you because I know it might seem a little different, but I hope you’ll expand your horizons and give them a taste. The best part about this recipe — other than the fact that it comes together in less than 10 minutes — is that in the end you have leftover pudding! Did I mention the pudding is ultra good for you, too? I believe dessert is all about balance, and to me pairing soft brownies with a healthy, chunky pudding just feels right. Don’t you think? 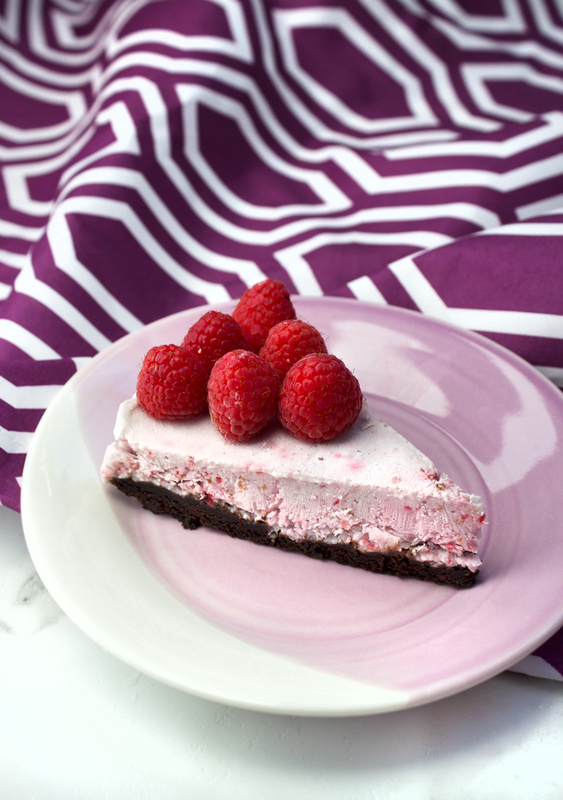 This Raspberry Ice Cream Cake with Brownie Crust is dairy-free and made with full-fat coconut milk and raspberries. It’s truly the ultimate, good-for-you dessert and perfect for Valentine’s Day! What makes your heart beat a little faster? Is it a kiss from your sweetie? A night all to yourself? A vacation sunrise? A warm bubble bath? The sound of dinner cooking on the stove? The promise of dessert after a not-so-sweet day? If you’re like me, all of the above makes your heart race with happiness. Particularly when it comes to the last one — dessert. If you know me well you know I have an insatiable sweet tooth. I’ve tamed it to a point where I stick to mostly naturally sweetened desserts and dark chocolate, but Lord knows I can’t go a day without either. 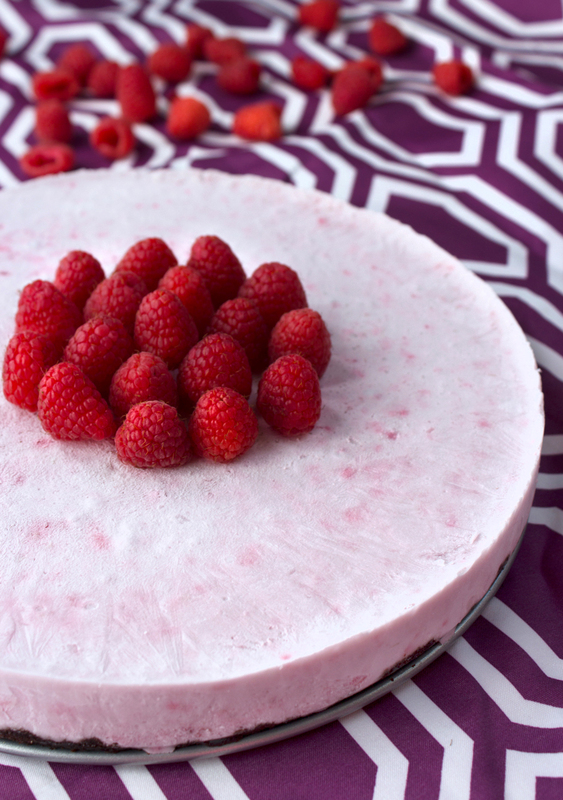 I have a saying, “life’s too short to be rude,” and I also believe life’s too short not to enjoy dessert, especially if it’s made with wholesome ingredients, like this Raspberry Ice Cream Cake. I’m not going to lie … I was a little nervous about how this was going to turn out. I’ve never made an ice cream cake before, let alone a dairy-free ice cream cake. But I challenged myself to make this along with Monday’s Beet Pesto Heart Pizza for Valentine’s Day this year, and I’m so glad I did. You only need four ingredients to make these naturally-sweetened, homemade Reese’s peanut butter cups! 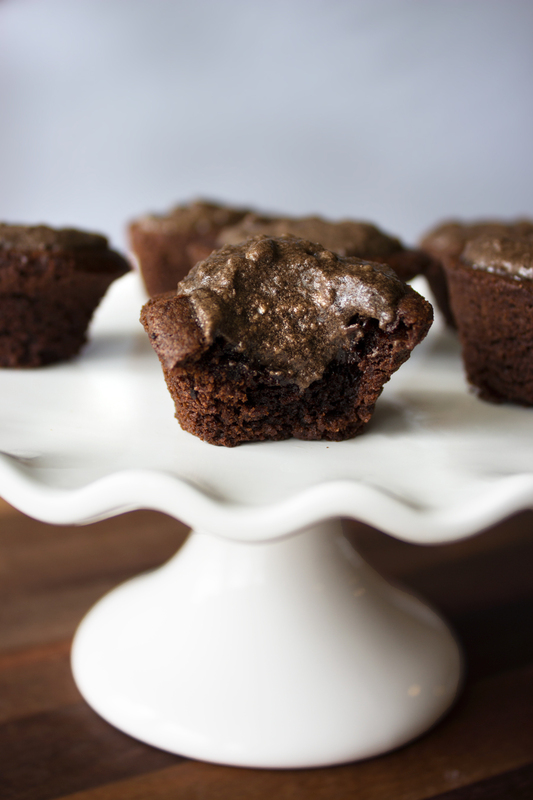 Dark chocolate + coconut oil + peanut butter + honey = pure deliciousness. When you think about the things that make your life sweeter — the things that make life even more worth living — what comes to mind? If you’re a believer, I’m sure one of the first things that popped into your mind was having a personal relationship with Jesus. Having someone who loves you enough to leave his throne, die for you and rescue you — It just doesn’t get any sweeter than that does it? Ladies and gentlemen meet the newest member of the Gaskill family — Reese, our little peanut butter cup! We adopted this beautiful Cavalier King Charles Spaniel this weekend and he has already been making our lives sweeter and lighting the days and nights up with joy. Sure he is only halfway potty trained and has had his share of accidents this past weekend, but we’re learning, loving, playing and laughing together. It has been a beautiful adventure. When given the choice between trick or treat, there is always a clear winner. Show me the treats and no one gets hurt. Chocolate, cake, pudding, ice cream, brownies — I don’t care what the treat is, as long as it’s sweet. And when it comes to Halloween it better be spooky, too! Growing up my family didn’t celebrate Halloween, but now that I am married, the Mr. and I go all out for this spooktacular holiday. We still haven’t decided what costumes we will wear to hand out candy (suggestions anyone? ), but we’ve already tested out tons of Halloween treats, including these Pumpkin Dirt Pudding Cups. A few years ago I spent a summer living on Bainbridge Island, Wash., where I was the editorial intern for YES! Magazine. Many days were full of the stereotypical rain that you would expect out of living so close to Seattle. But as the locals say “when it’s sunny, it’s one of the most beautiful places on Earth.” And I couldn’t agree more. Aside from the rain there was nothing not to like about Bainbridge. Chain businesses were restricted on the island and as a result a local community had flourished, giving the island a certain charm not afforded to most cities these days.